Manila Zoo in the heart of Manila. Manila Zoo easy to get to, easy to walk around. Manila Zoo to say I was slightly disappointed with the Manila Zoo Philippines is a huge understatement. I guess if you have never been to a zoo or even been up close to animals before, then I suppose this is a good introduction. For me however, I felt a little sad for the animal occupants. The Manila Zoo is very close to the Harrison Plaza Shopping Mall. It is between Mabini and Adriatico Streets and Pres. Quirino Ave two blocks from Roxas Boulevard. it is very easy to locate, all taxi drivers will know exactly where to take you, also being in Malate it is very central to most of the hotels in the district. What is there to see in the Manila Zoo? The Manila Zoo is not particularly big, which is probably a good thing considering how hot it can get in Manila. It has the usual offerings you would expect in a zoo. Lot's of bird life, parrots, eagles, doves and pigeons and the mandatory peacock flashing it's brilliantly spectacular tail feathers for all to see. As you first come into the Manila Zoo on the right hand side you will see the Indian Elephants, always a crowd pleaser. Moving further along there are reptile enclosures with pythons and an assortment of lizards. Towards the back of Manila Zoo are monkeys and other larger mammals. On the left hand side as you enter, the Manila Zoo has set up a Kinder Zoo, which is an area for people, usually children to touch, feel and pat the animals. When I was there this was actually closed, not sure why. Further on there are an assortment of aviaries. Now the real shock for me, something that was totally unexpected was the boat rides smack bang in the middle of the Manila Zoo. It was kind of weird, a large pond with a small island in the centre, that bit was okay, but paddling around the island were people in these makeshift looking boats. 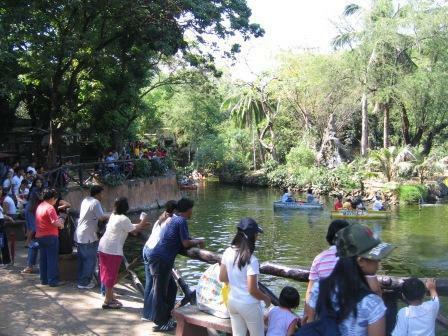 I think more people were watching the boats than the actual animals in the Manila Zoo, as you can see from this photo. What was very apparent to me was the poor state of the Manila Zoo and the grim enclosures and cages that housed the wildlife. To me it was a touch sad to see these once proud wild animals locked up in rather pitiful cages. Mind you having said that there is no doubting it's popularity. To say it was extremely busy would be an understatement is was almost shoulder-to-shoulder barge your way through to the next enclosure kind of stuff, so I guess maybe my views would not be the same as others, but I'm sure tourists would more than likely hold the same opinion as me. 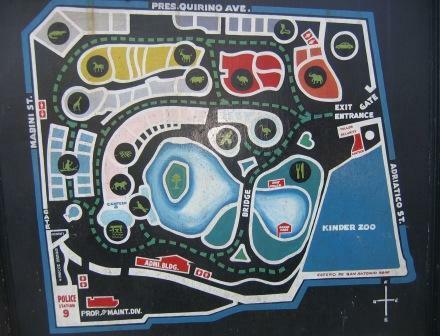 The photo above will give you an idea of the layout of the Manila Zoo, you can locate this map as you first enter the gates and pass through admission. Admission price was P40.00, less than a dollar. If you are at a loose end, with an hour or so to spare, then come and have a look for yourself. If you are an absolute animal lover then I suggest you stay away, you may be disappointed. Have YOU been to Manila Zoo? Did you have a great experience that deserves a rave? Or was it less than complimentary? Share your experience at the Manila Zoo with everyone! 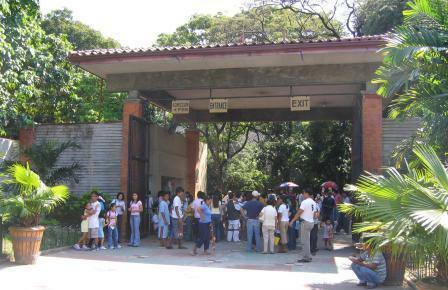 Help other visitors to Manila Zoo and share your opinion about it! Have a Heart in Manila Zoo! Government officials or who ever is in charge of the Manila Zoo, should take a second look at the animals here. 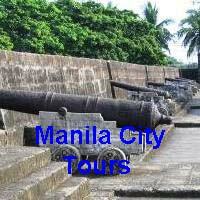 Have a look here for more attractions and information on Manila. 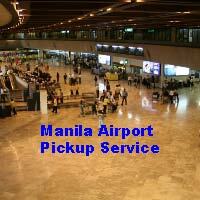 For information on where to stay in Manila, have a look here.